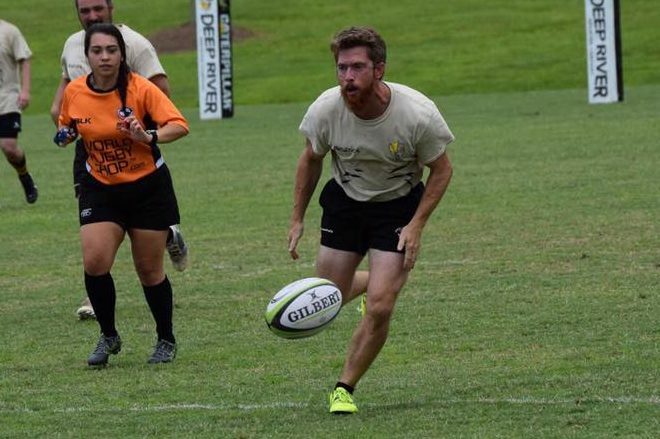 CLAYTON, NC – As part of plans to expand the roles within the club’s operational structure, the Clayton Rugby Football Club is proud to announce that active Bootlegger, Walter Webster, has been named as the Club’s Player Welfare Representative for 2017. Webster, whom joined the Clayton RFC in 2015, is a lawyer by trade and was named to the position after showing his care for the well being of fellow teammates. The new role is part of an expanded General Committee that is working with the Club’s Board of Directors to streamline club operations and provide the best experience possible for players and members. Webster’s primary focus is on the health, safety, and overall wellness of players. His duties will include following up with injured players to make sure they are receiving the care/treatment needed to return to the pitch, implementing and enforcing a strict club concussion policy, as well as working with Clayton RFC sponsors Clayton Chiropractic, Crossfit Clayton, and Orthopaedic Specialists of North Carolina to launch wellness initiatives and education for players. It is this passion for his fellow teammates that makes Webster the ideal member to fill this very important role within the Clayton Rugby Football Club. Founded in the Fall of 2013, the Clayton Rugby Football Club is a rugby program located in Johnston County, NC. The club was recently confirmed as the 5th fastest growing club in the USA by USA Rugby. The club has a family friendly culture with a focus on community. The Clayton RFC currently fields three men’s teams in XVs with competitive, developmental/social, and Old Boys as well as a 7s team during the Summer. The club also helps support the Clayton Copperheads youth rugby club through coaching and is in the process of providing youth programs across Johnston County. The Clayton RFC welcomes new players at any time during the season. No prior rugby experience is necessary.